As far as we can tell, one of the next big things to revolutionize home and mobile computing is use of ‘the cloud.’ Apple is already on track with its recent release of iCloud along with iOS 5 and the new iPhone 4S, but what about folks who are PC/Android fans or who don’t want to get their feet wet with Apple’s latest project? Well, while it’s not exactly the same, the Pogoplug Mobile ($80) will give you many of the same benefits, despite the unfortunate name. 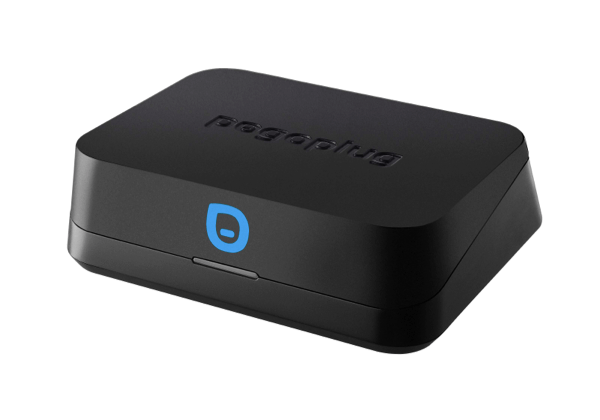 Roughly the size on an Apple TV, the Pogoplug Mobile acts as a home base for files and will allow users to then access all of their files from their mobile devices or push mobile content back to the device through the cloud. Pogoplug apps and software are available for iOS or Android users as well as for Mac or Windows users. Through the app or software, users will be able to access any of the files (documents, movies, music) on the home base hard drive or SD card (connected via USB or card slot) with no delay. To get mobile media like photos from a smartphone into the cloud, users just open the Pogoplug app and send the files back to the home station. Users can also email or post any connected media to social networks. One of the other benefits of the Pogoplug device is that there are no access fees like some other cloud-based services. Just pay the $80 for the actual device and you can stream your media free for life.